There once was a time that SEO simply meant having decent meta keywords on your site. Times have well and truly moved on and SEO is now an art itself. This blog is not about how to improve SEO for your site so that you appear higher in Google’s search results; this blog is about how Google now makes use of Rich Snippets to enhance how your search result will appear to all users. Firstly you are asked to select a page type. This matters as each type offers different standard properties to assign to the page, and a different layout in the search results. In my example I am selecting a Product type. 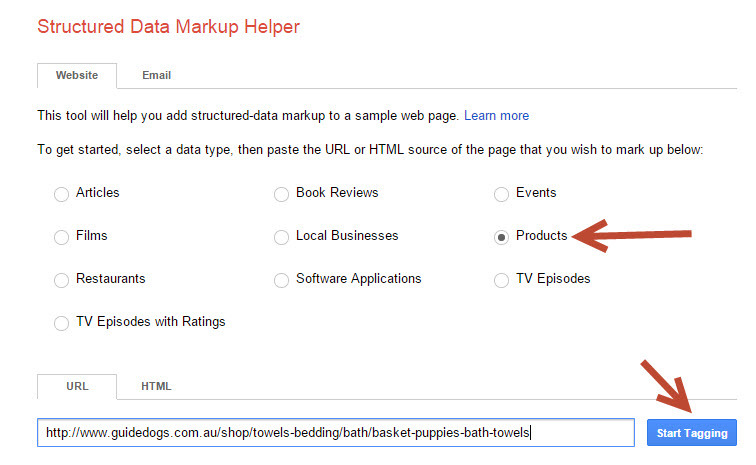 Finally enter a product page URL example and press Start Tagging. This is the interface to mark-up your page template. 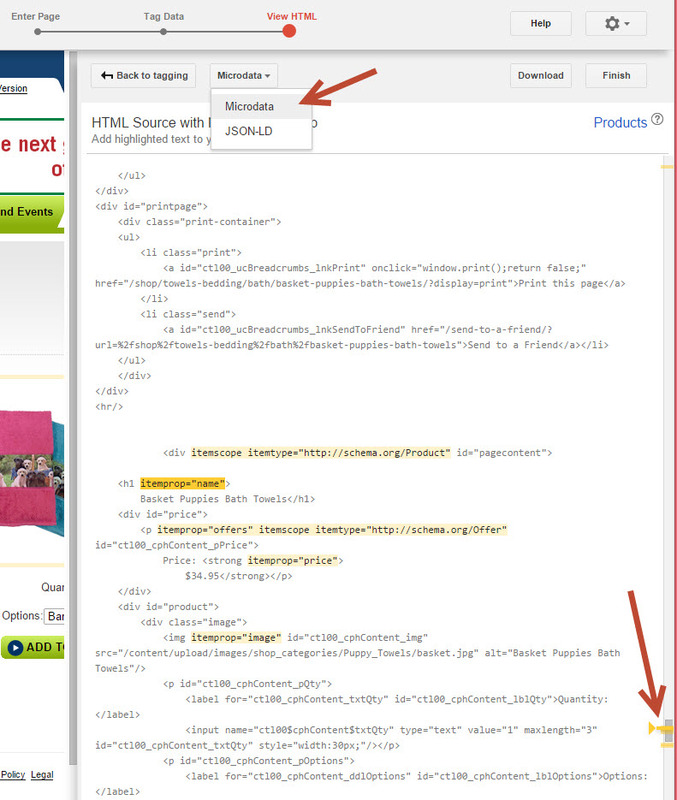 In the example below, I have highlighted the product Name, the Price, the Description and the Image. Simply drag-select or click (for an image) and choose from the context menu the appropriate tag (price can be found under Offer). 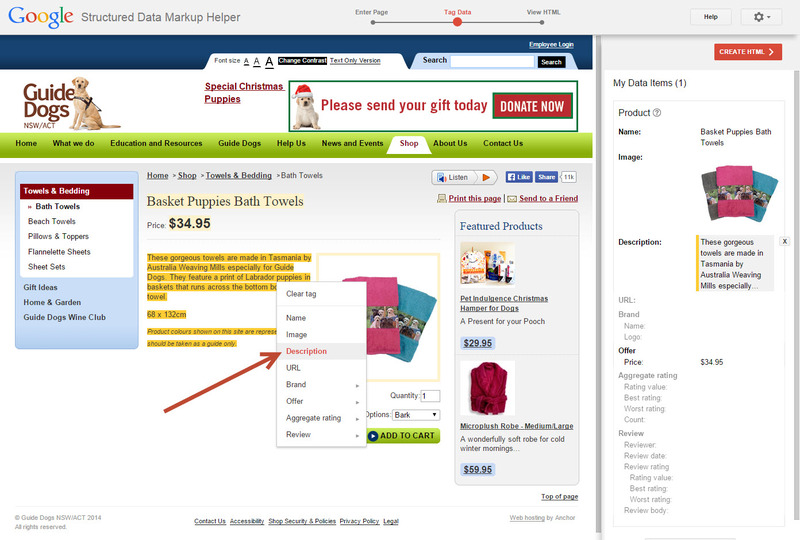 As each item is highlighted, it is shown in the My Data Items column for you to review. Once you have completed marking up the page, press Create HTML to get the output. There are two types of output Google can provide for you to apply to your page templates – Microdata (rich snippets) or JSON-LD. Microdata gives you more control over where to include the mark-up, JSON-LD provides everything in one script block. In the case of Microdata, Google will highlight the mark-up that it has inserted into the page so that you know what to copy to your codebase. Transfer the new attributes to your template and publish your code changes to your server. Google will take as long as Google takes to recognise your changes, however you can immediately test them using the Structured Data Testing Tool. Adding rich snippets to your templates is a simple process that can significantly improve how your visitors find and interact with your website directly from Google’s search engine. View Previous blog How to prevent going over time and budget on a design project.